Like a lightning bolt falling from the heavens, Napoleon Bonaparte's Army of the Reserve descended out of the Alps upon the plains of Piedmont in late May of 1800 and into the annals of glory. 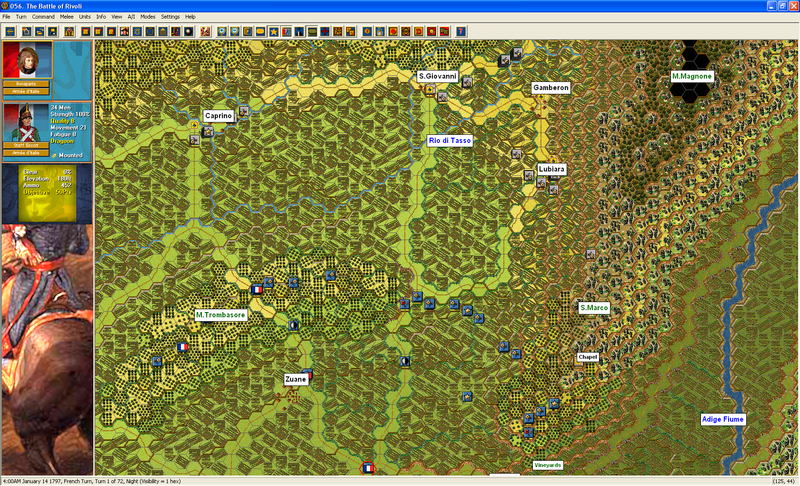 What followed was a blitzkrieg campaign that caught the Austrians completely by surprise. 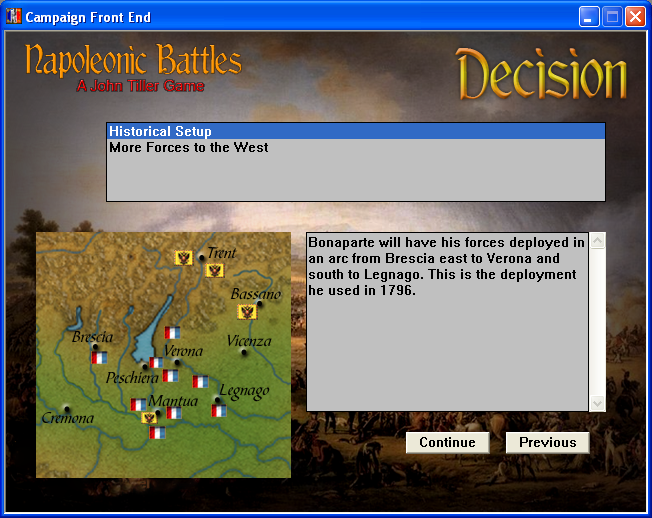 The French army rolled on to the east to take Milan and then turn south and west to fight the Austrian army at Piacenza, Casteggio and then Marengo, the final battle of the campaign. Bonaparte's fame was secure and by 1804 he would be crowned the Emperor of France. 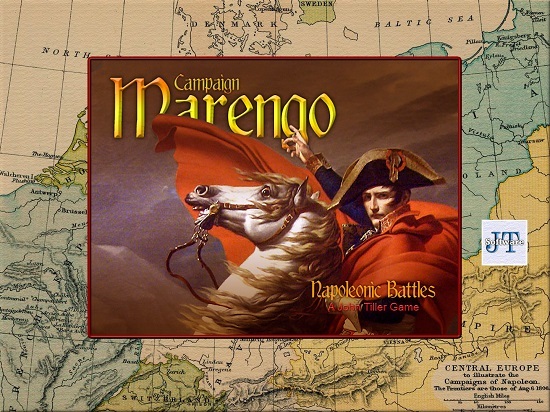 Campaign Marengo covers the battles and campaigns in Northern Italy from 1795 through 1800 and allows the players to refight the famous battles of these campaigns. 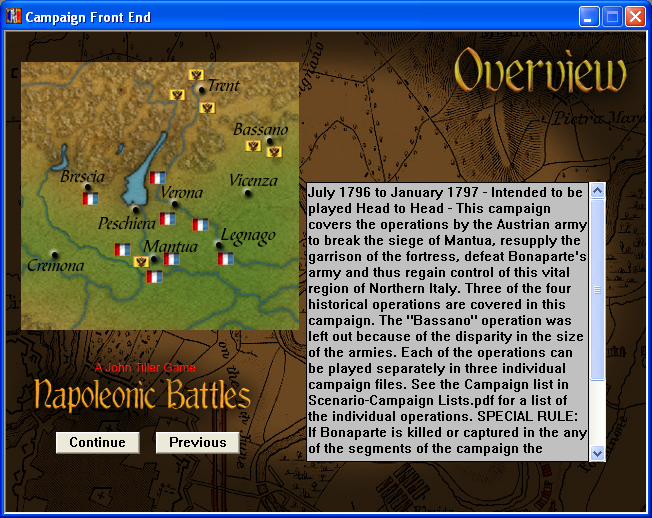 Three campaign files cover the major campaigns while three shorter ones cover the various operations in 1796 to resupply Mantua and defeat Bonaparte and the French in battle. Relive the days of Suvorov's Russian army marching onto the fields of battle alongside their Austrian allies. 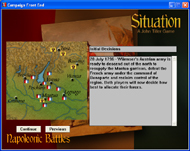 As the commander of the French army in 1796, lead your men on to victory on the fields of Castiglione, Rivoli, Arcole and the other battles around Verona. 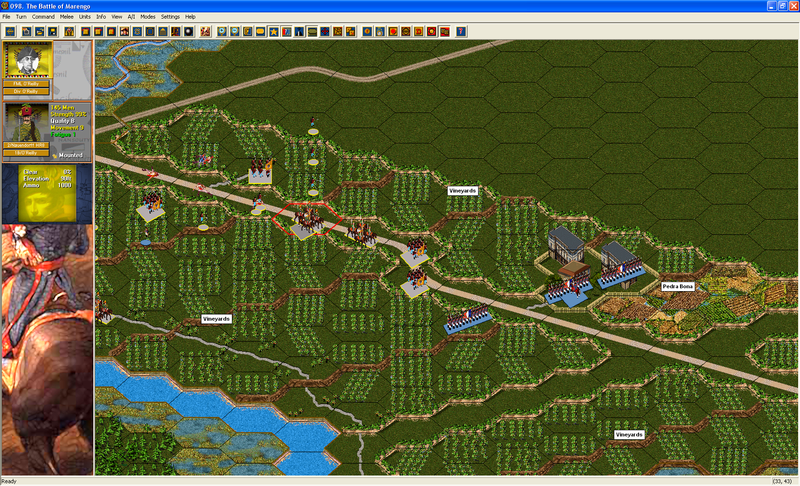 As Massena, lead the French to victory at Loano in 1795. 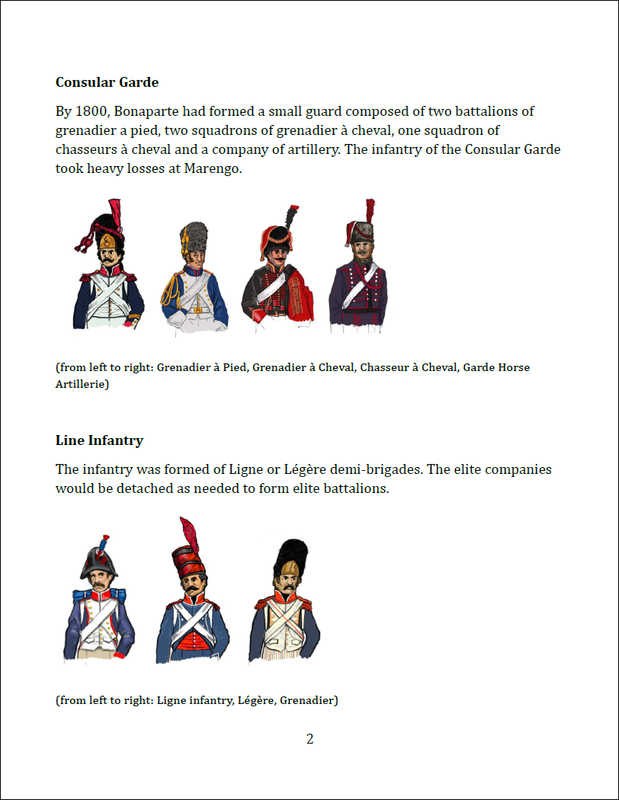 Campaign Marengo offers all this and more! 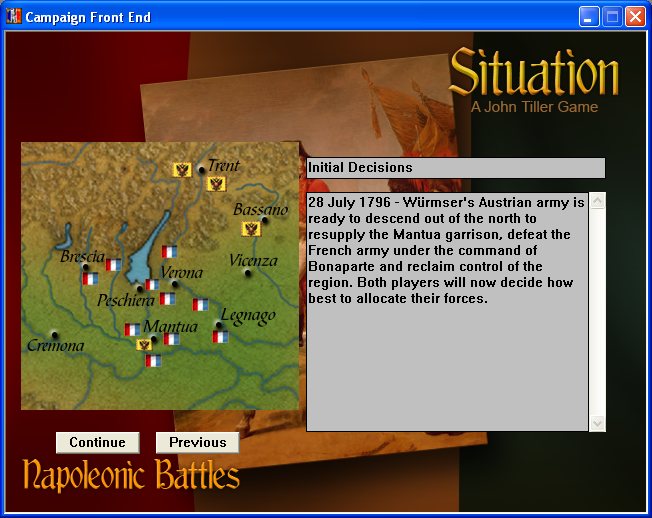 You can read more about the game in the Scenario Designer Notes. 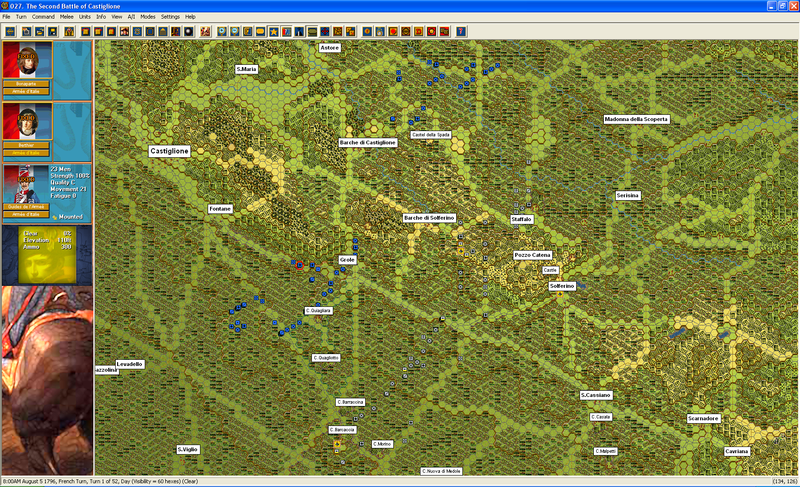 Tutorial scenario that helps the player learn the game system. 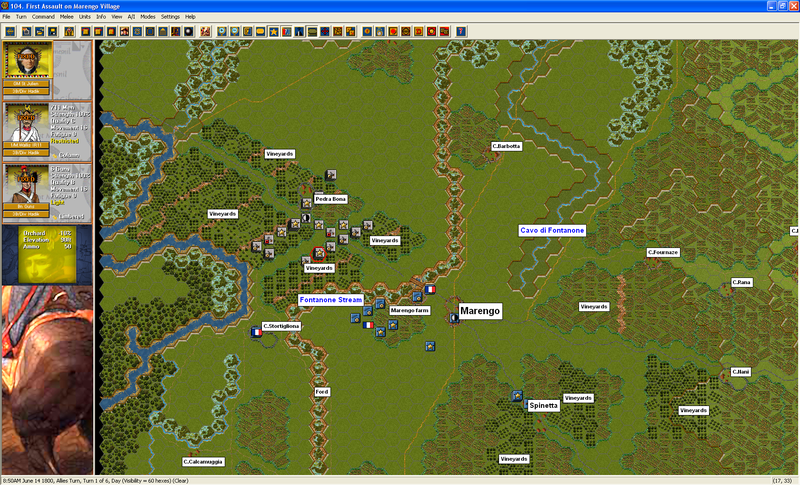 A wide range of scenarios which allow the players to command an entire army or just a few brigades. 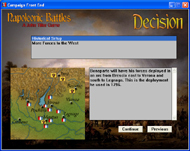 A select group of campaign scenarios available for play as stand alone battles. Turn scale is either 10 or 15 minutes. 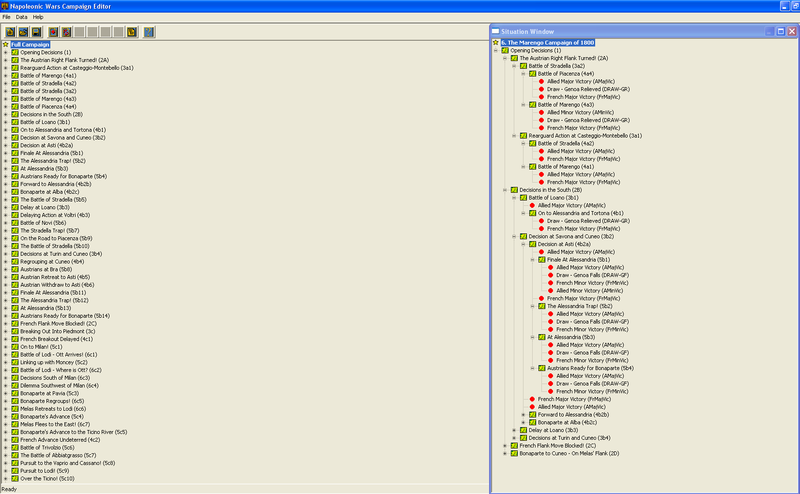 A Weapons Chart is included that allows the players to determine the range and effects of all weapons in the game. 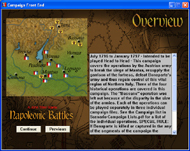 Over 80 maps (to include sub maps) are included covering the famous battlefields of Marengo, Rivoli and Castiglione. 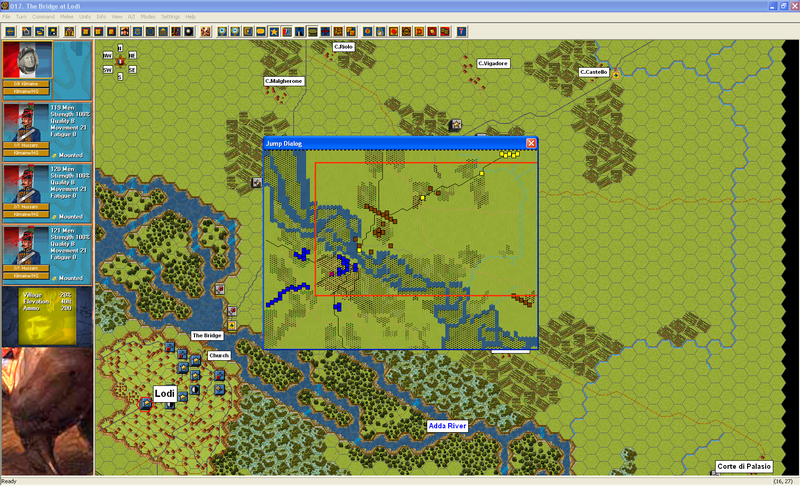 A large "Quadrilateral_Extended" map covers the entire area from Brescia to Legnago (1032 x 605 hexes) and can be used to create more submaps for custom scenarios. 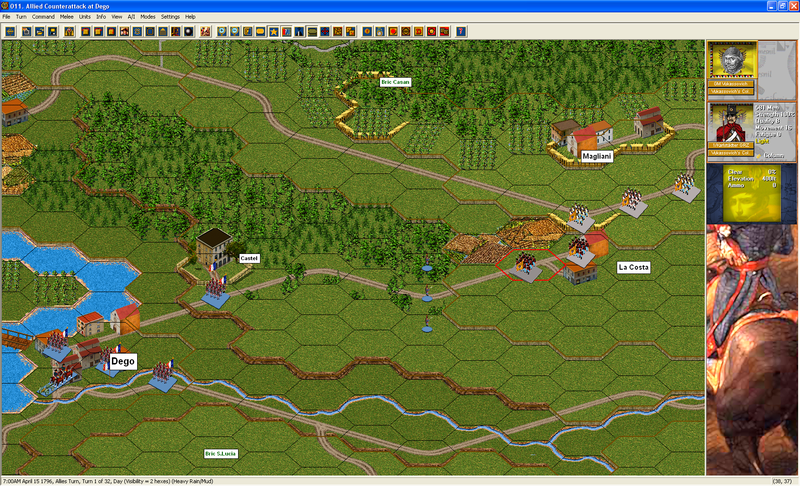 Updates to 2D and 3D terrain graphics. 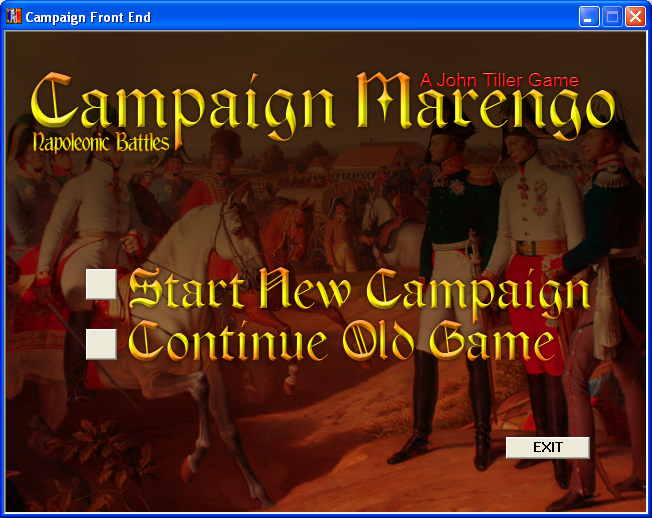 Campaign Marengo is for sale at the John Tiller Software Store.